On March 10, a devastating crash of Ethiopian Airlines’ Boeing 737 MAX aircraft killed all 157 passengers and crew aboard the flight. This was the second such crash of a Boeing 737 MAX and it resulted in a worldwide ban on the aircraft. Both airlines and regulators grounded the plane and Boeing cut production significantly. Initial investigations into the crash pointed out a problem with the aircraft’s Maneuvering Characteristics Augmentation System or MCAS, an anti-stalling mechanism that kicks in automatically when a sensor detects that the aircraft is about to stall. 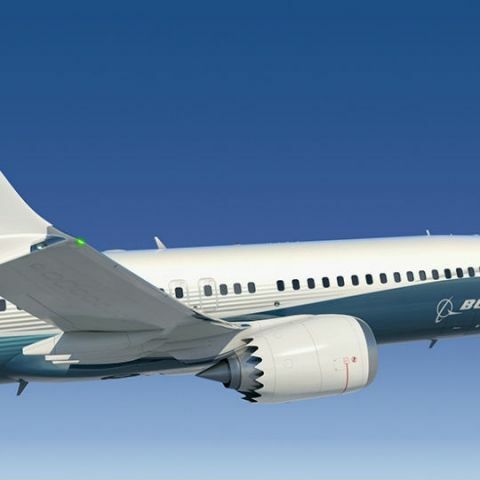 You can read more about MCAS and what went wrong with the Boeing 737 MAX here. In case of the Ethiopian airline flight, the MCAS was triggered falsely and this is widely considered to be one of the things in a chain of events that resulted in the crash. Following the incident, the world’s biggest planemaker promised a software upgrade to fix the faulty MCAS triggering issue. The software fix is intended to stop the MCAS from triggering based on wrong readings from the airflow sensor and give pilots more control to take over the plane. Now, as per Boeing CEO Dennis Muilenburg, the software update is working as intended. Reuters reports that the CEO joined one of 96 flight tests being performed with the upgrade implemented on the 737 MAX. The software was tested in different flight scenarios over 159 hours of flight time. “The software update functioned as designed,” said Muilenberg. The CEO, however, did not indicate when the company would be rolling out the update for regulators to review. Meanwhile, the aircraft remains grounded worldwide and is not expected to fly until aviation regulators and airlines in different countries are convinced that it is safe to fly again. Boeing has made no new deliveries of the 737 MAX since the Ethiopian Airlines crash. Is software testing a good field?